Wouldn’t it be great if babies were born with the ability to just drop off to sleep at a time convenient to their families? They aren’t, of course – and usually they need lots of cuddles and rocking and reassurance from the people who love them. And we’re very happy to give it, because we love them so much. But what about when nothing seems to work? What about when your baby won’t settle no matter what you try? What might be going on? Here at Babyology we have a brand new section of our site devoted to health. We’re kicking things off with lots of helpful articles about children’s health and development, thanks to Children’s Panadol. We hope they’ll be useful to you day to day as you care for your family. Make sure you click on through for our treasure trove of information. One of the first and most important tips for any family with a new baby is to develop a settling technique that works for you. 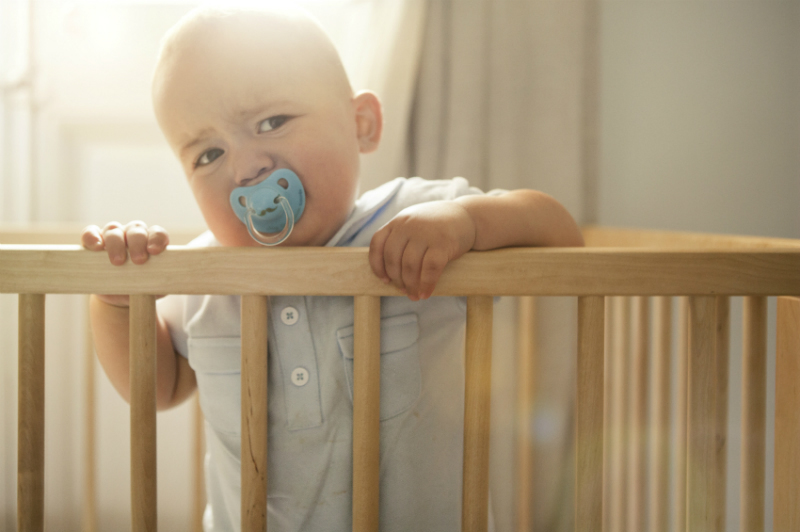 Watch for the signs that your baby is getting tired – if you miss them and move into the over-tired stage it’s much harder to calm baby down. If you use the same steps every time you get your baby ready for sleep, they’ll come to associate it with bedtime and it will help them settle. Of course, even the best routine sometimes needs a bit of a tune up, so it helps to have some strategies for resettling up your sleeve as well. As children grow, their increased independence can sometimes bring added challenges at bedtime. Again, consistency and routine is the best approach. Some babies just seem to have very fussy times in the afternoon, or around feeds (whether they are breastfed or bottle fed). If your baby won’t settle and doesn’t seem calm or relaxed after a feed, and if they frequently bring a lot of milk back up, they may be suffering from reflux. 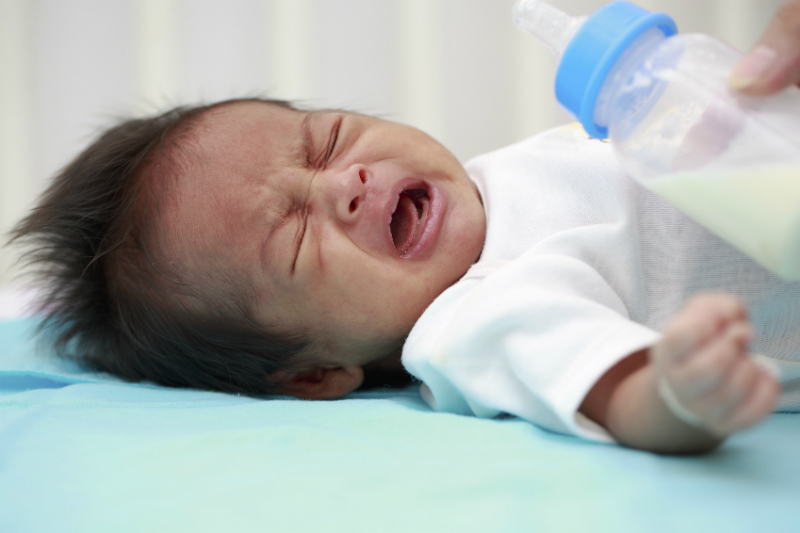 Babies who seem to be in pain and pull their legs up while crying may be suffering from colic. Both conditions can make it more difficult for you to settle them, but there are treatments available and they will grow out of it. What are the enemies of good bedtime routine? There are occasional roadblocks like holidays and special occasions, but one of the most common things that derails good bedtime routines is sickness. Your child might be in a great pattern of going to bed, but winter illnesses like coughs and colds can throw everything off-kilter. Other illnesses are less easy to diagnose, but might cause bedtimes to be more of a challenge than normal. Earache and ear infections are a common problem for babies. Lying down to sleep with a sore ear is terribly painful and can explain lots of bedtime woes for children who suffer from it. And then there’s that old chestnut – teething. 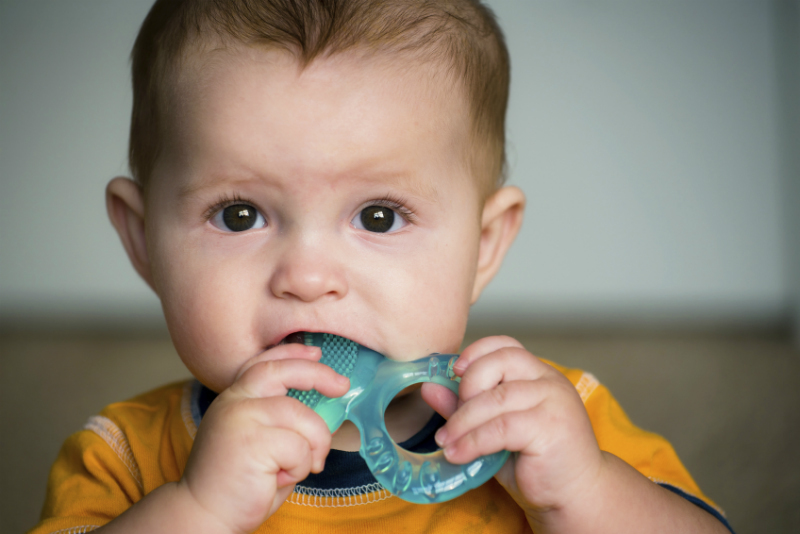 Sore gums are enough to keep anyone up at night, and if your baby has a tooth on its way, bedtime is one of the times you’re going to know about it. It’s very difficult to keep to a consistent settling routine when you suspect that something might actually be wrong – that your baby might be in pain or discomfort. One of the first things that you can do it appears your child is in pain is to give paracetamol – it’s gentle enough for you to give it to babies as soon as they’re one month old, which is a great relief when you’re faced with a screaming baby at 2am. We’ve teamed up with Children’s Panadol to provide you with easy-to-read information covering many aspects of children’s health and development. We recommend their Bub Tracker app, available for free for Android and iOS, which you can use to track your baby’s feeding, sleeping and health information. It also includes the Children’s Panadol dosage calculator to assist at those times when you may need to use pain relief with your baby. And for more parenting and children’s health tips, download The First Five Years, Children’s Panadol’s free book full of information about children aged from birth to five.